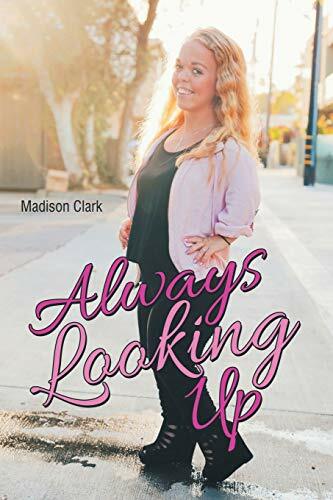 Madison Clark is a mountain of a woman in a little person's body who never lets her short stature stand in the way of her giant spirit. Though uniquely created, she has learned to tackle physical and emotional challenges, fight for her beliefs, and show others that she can do anything they can do-just in a different way. Clark shares an inspiring story about what life is like for a woman who cannot reach a drinking fountain, needs help selecting items higher than the second shelf in a store, and is towered over by a typical fourth grader. While shining a spotlight on the good, bad, and ugly aspects of living with dwarfism, Clark reveals how she has persevered through it all with a never-give-up attitude and a refusal to be excluded that ultimately transforms ignorance into acceptance. In this moving and informative memoir, an ordinary girl living an almost ordinary life embraces her uniqueness and demonstrates that no matter what our challenges, it is up to each of us to determine our own happiness.